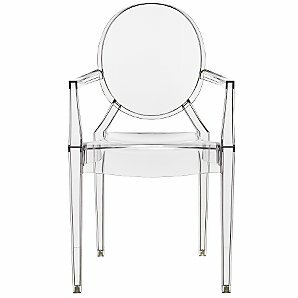 The summer sales are here, and what better way to prepare your home for summer than investing in a Kartell Ghost Chair! Barker and Stonehouse – the UK’s largest independent family run furniture store – have slashed their prices on some of our favourite Kartell pieces. These Ghost Chair products are very rarely reduced, so you’d better get it before it’s gone! 20% Off Ghost Chairs for this weekend only! The wonderful British interiors retailer Graham and Green has given us something to smile about this weekend. They are offering a stunning 20% off for this weekend only. 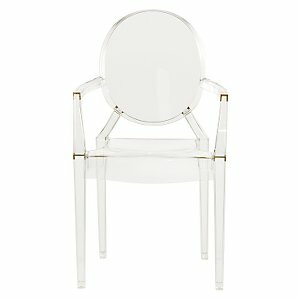 Following on from the hike in retail prices this year on all Kartell Ghost Chairs, this is a welcome surprise for all of you potential customers out there looking for a deal. Graham & Green stock the Louis, Victoria and Lou Lou so there is absolutely something for everyone. Just be sure to enter the special discount code S10ES20 at checkout. This offer expires midnight 26th April. 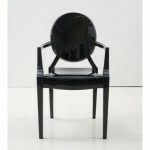 John Lewis – the nation’s favourite retailer – have extended their Ghost Chair range to include further colour options. Previously the Louis Ghost, Victoria Ghost and Lou Lou Ghost were only available in Crystal. You can now also get them in solid black and solid white in addition to crystal, giving you more choice. The Lou Lou Ghost Chair (baby Louis) is also available now in Lilac as shown on the far right. Not only are John Lewis selling these chairs at competitive prices, they also offer FREE STANDARD DELIVERY on all orders over £30! John Lewis have a fantastic easy to use website and are known for great customer service. If for any reason you are unhappy with your purchase they will be happy to refund or exchange a product provided it is in fully resaleable condition. Returns should be made within a reasonable time (usually 28 days) and in original, undamaged packaging. Announcement: Ghost Chair No Longer Available at Furniture Village! 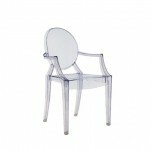 Over the past year ghostchair.co.uk customers have received great discounts on the Kartell Louis Ghost Chair and Kartell Victoria Ghost Chairs at Furniture Village. Unfortunately, Furniture Village are no longer selling these products online. This is a real shame as they offered fantastic discounts during their seasonal sales and the option of in-store collection. Should Furniture Village re-introduce Kartell products to their website we will be the first to let you know. 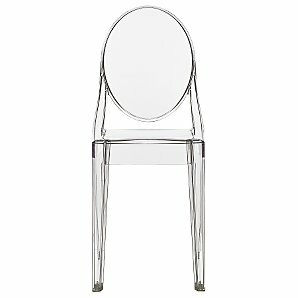 Furniture Village continues to offer great discounts on the Victoria Ghost Chair and Louis Ghost Chair. If you like the Ghost Chair in the following colours, you can buy these Kartell classics with a fantastic 20% off , just order online and collect for free from one of their nationwide stores. 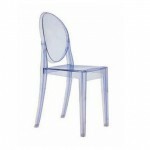 If you like the Ghost Chair in the following colours, you can buy these Kartell classics at fantastic prices, just order online and collect for free from one of their nationwide stores. John Lewis – the nation’s favourite retailer – is now stocking the fabulous Louis Ghost, Victoria Ghost and Lou Lou Ghost ( in crystal only).